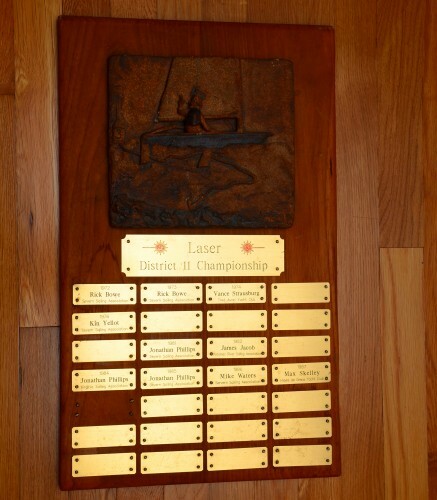 District 11 has a new perpetual trophy to honor the Laser Radial District 11 Champions. It was built around the original Standard Laser District 11 Championship trophy and features the names of the 7 champions we’ve had so far. 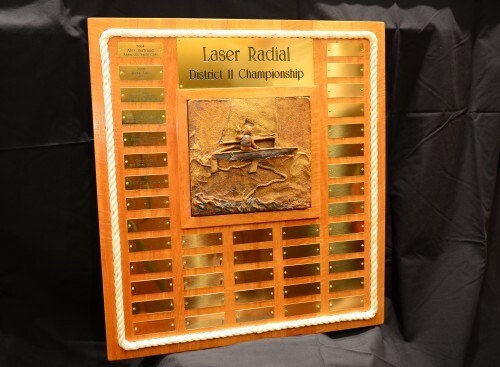 The original Standard Laser District 11 Championship trophy was built in 1979 by Mike Waters using a relief of a Laser created by his wife, Jane Waters. Over the years this trophy was lost to time and in the mid-1990’s a new Standard Laser District 11 Championship trophy was created. The original trophy was found about 5 years ago and the champions listed on it were used to populate the new trophy going back to 1972. The original trophy was given to me when I became District Secretary and I thought it was a shame not to put such a nice piece of art to use and to loose a valuable contribution to our District. We’ve started to have a consistent showing of Radials at our District Championship. I thought – why not recognize Laser Radial champions and give Radials a trophy to sail for. 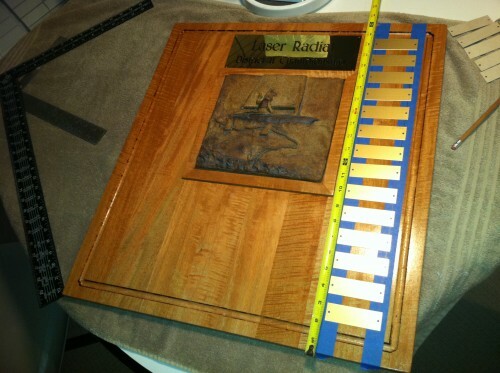 The new Laser Radial District 11 trophy was designed to use the relief in the original trophy. Since Mike was a boat builder and used the best boat-building adhesives to affix the relief to the original board, it would have been too difficult to separate the relief from the board without breaking it. So the new trophy had to be built around it. 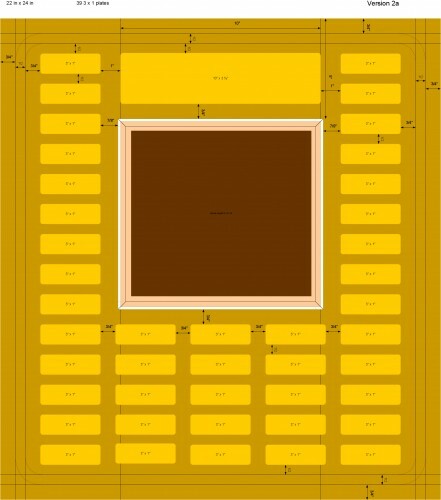 The new trophy would feature the relief in the center, a plaque with the name of the trophy at the top, room for the 7 known Laser Radial District 11 Champions and room for the next 36. 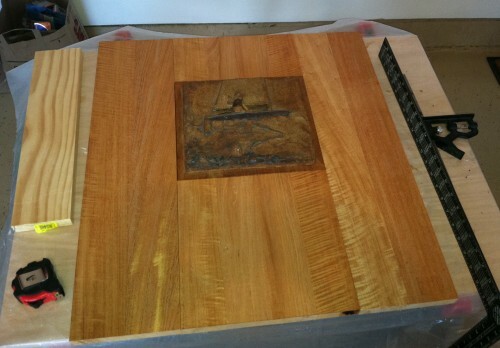 Construction of the trophy began at the end of August. First the old board was cut away around the relief. 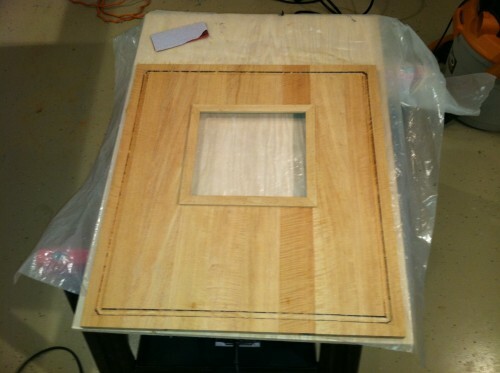 Then mahogany boards were joined and a hole cut for the relief. Next a groove was routed around the edge and a frame was added to cover the threshold between the new wood and the old board that the relief was affixed to. Then the trophy was polyurethaned and the plaques were mounted to it. The final touch was adding the rope to complete the trophy. More pictures of the trophy and the build process can be seen here. I want to thank my father, Stan, for his help and tools. I also want to thank Mike Waters and his wife for creating the original trophy and for the fleets and individuals who have helped fund the materials to build the trophy.